a) being a living sacrifice. b) giving my life to God to do His will. a) that we are worth nothing to God. b) the Lord Jesus offering up His life to the Father to do His will. 3. 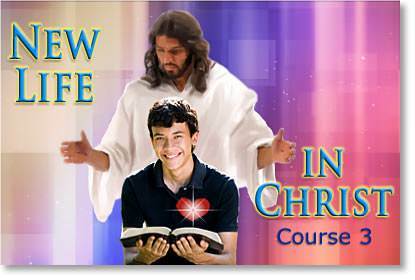 When I consecrate my life to the Lord, does this mean that I am giving my life to become a preacher or missionary? 4. Can I give part of my life to the Lord and keep part of it for myself? 5. 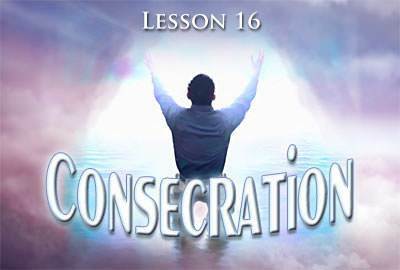 Why should I consecrate my life to God? b) Because others are expecting me to do so. 6. What was the price the Lord Jesus paid for me? a) Coming to earth to live in a poor family in Israel. a) we will then be free from sin. b) God's will may be done in our life. a) those who are alive from the dead. b) those who are good people. a) we are guaranteed a place in heaven. b) we die to our own plans and ambitions. a) by finding God's will for my life and doing it. b) when people compliment me.